Kathryn’s passion for baking started at a young age when she received her first easy bake oven. Over the years, her love for baking grew and she longed to one day have a career in cake design. After attending Kennesaw State University and earning a degree in marketing, she pursued a corporate job that left her wildly unfulfilled. She decided to follow her heart in pursuit of her confectionery dreams. She spent several delectable years as an apprentice to a well-known cake designer which gave her the confidence and skill set she needed to launch her own business. 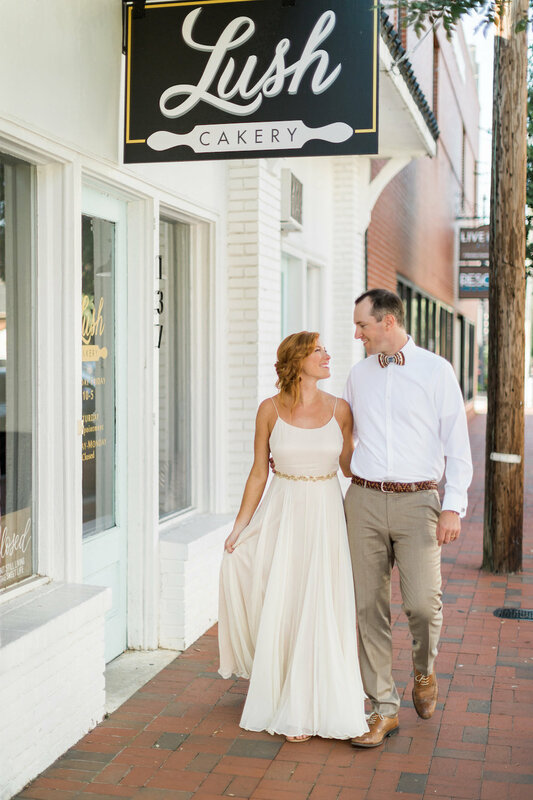 Lush Cakery was born and her business has grown from word of mouth to a full-time career. From simple and rustic to ornate and modern, Kathryn excels at creating cakes that are as beautiful as they are delicious. No matter the occasion, the cake is one of the most memorable parts. She loves getting to know her clients and customizing their cakes perfectly to help create magical moments and memories. Whether it’s weddings, birthdays, or just because, nothing makes Kathryn happier than creating cakes that are as sweet as your special day. A little more about Kathryn… She goes by Kat. She is a foodie and red wine lover. Her and her husband Thomas live right off the Marietta Square with their dog Abbott. On her day off she enjoys hiking Kennesaw Mountain & catching up with friends over a cocktail. She loves to travel and her favorite places she has visited are Brazil, Italy and Iceland. Country music is her favorite. She loves to entertain and host dinner parties with her closest friends and neighbors. Are you interested in having Kat design a cake for your special occasion? Learn more about pricing and flavors and view the portfolio.